There will be plenty of magic on stage at Shea's promises "Princess Jasmine" including on scene where there are 100 costume changes in 60 seconds, and, of course, a flying magic carpet. 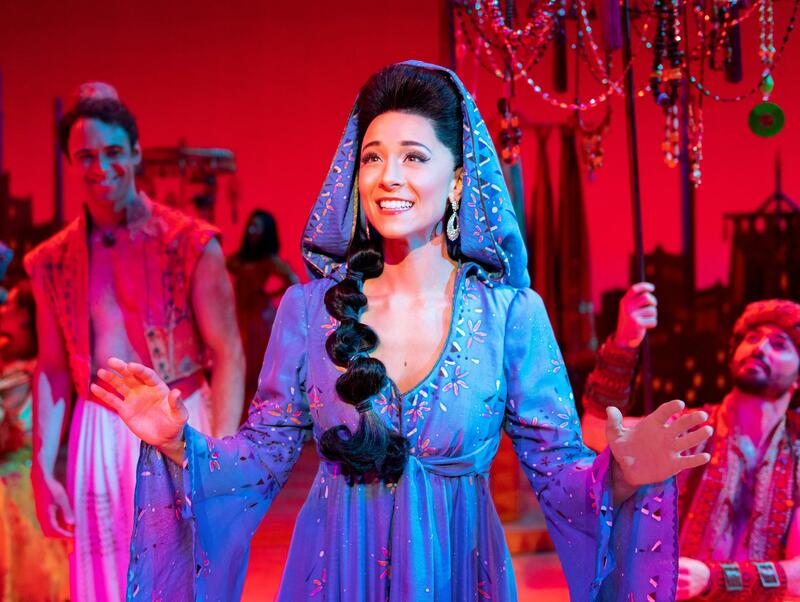 Lissa deGuzman speaks with WBFO about her role as "Princess Jasmine" in ALADDIN at Shea's. Lissa deGuzman fulfills a lifelong dream as "Princess Jasmine" and has advice for young performers in this conversation with WBFO. Lissa deGuzman is thrilled to play a Disney Princess - “Jasmine” - in the North American touring production of Disney’s ALADDIN when the Broadway musical will play a limited two-week engagement at Shea’s Performing Arts Center through August 19. DeGuzman, who previously understudied the role on tour, and has been a "swing" dancer as well as a dance captain, spoke with WBFO, and promises theater "magic" including one moment where there are 100 costume changes in 60 seconds. The touring production also features Clinton Greenspan as the love interest Aladdin ("He's cute," she says); Michael James Scott as the go-between Genie; and Jonathan Weir as a "very scary" Jafar, the villain. Later in the conversation, deGuzman has advice for younger performers trying to break in to Broadway roles. In Buffalo, Aladdin will play Tuesdays through Thursdays at 7:30 p.m.; Fridays at 8 p.m.; Saturdays at 2 p.m. and 8 p.m.; and Sundays at 1 p.m. and 6:30 p.m. with a 1 p.m. matinee on Thursday, Aug. 9. The Shea's organization is very concerned that patrons understand that the only safe way to acquire tickets is either through the Shea’s Box Office at 646 Main Street (online at www.sheas.org or call 1-800-745-3000.